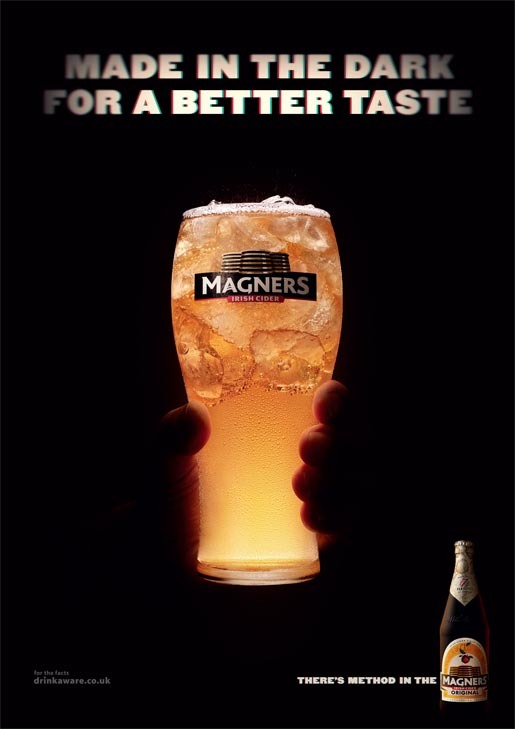 Magners has launched “Made In The Dark”, an advertising campaign for the Irish cider brand continuing the Method in the Magners tag line introduced in 2010, in TV, outdoor, digital and social media. The 40 second television commercial at the heart of the campaign is set almost entirely in darkness and features the inhabitants of Irish town Clonmel continuing their normal daily activities at night, whether that is playing tennis, getting their hair-cut or attending the local nudist society. The outdoor campaign includes seven underground station dominations across London and Glasgow including a media first at Oxford Circus with a 180 degree wrap. 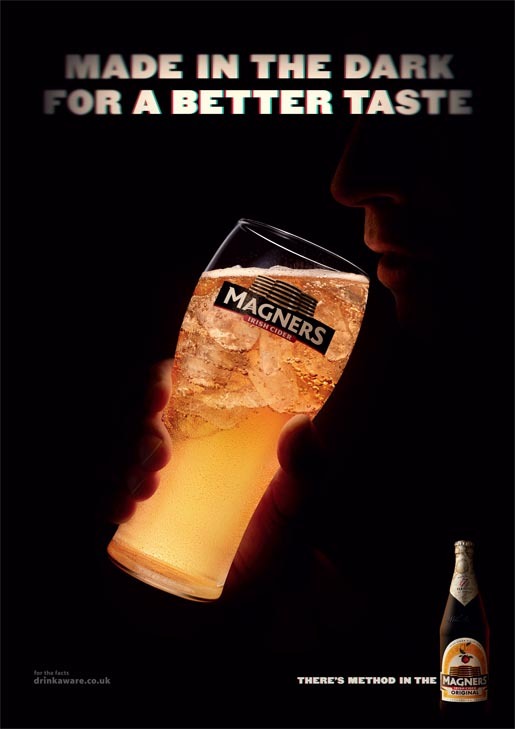 The iconic creative features hands in the dark holding beautifully lit pints of Magners. The campaign consists of four core images including ‘hero’, ‘drinking’, ‘cheers’ and ‘social’ and includes a 10 second motion animation. The Magners Made In The Dark digital campaign will help amplify the brand’s philosophy as well as drive customers through to Magners social platforms via a variety of initiatives planned across the summer. The first of which is our “eye-pad” activity which launches on Thurs designed to tie-in with the clocks going forward. The Made In The Dark campaign was developed at The Red Brick Road, London, by creatives Matt Davis, Richard Megson, Sam Cartmell, art directors Marc Donaldson, Jamie Bennett, agency producer Charles Crisp, agency planners David Hackworthy and Oli Feldwick, business director Sophie Edwards, account director Lisa Pilbeam working with Krsty Hunter, Magner’s Head of Cider Marketing. Filming was shot by director Dom & Nic via Outsider with producer John Madsen. Editor was Struan Clay at Final Cut. Post production was done at Framestore. Music was by Mark Campbell at One More Music Company. Audio post production was done by Jim Griffin at Jungle Studios. Media was planned by Rebekah Cavanagh at MPG. Photography was shot by photographer Paul Zak.